The Jesuit High School Counseling Department does not consult with third parties with the rare exception of licensed educational psychologists, medical doctors, and licensed psychologists. - July 13, 2019 Test: Registration Deadline is June 14, 2019 *No test centers are scheduled in California for this test date. Register on time and online at www.actstudent.org/regist. No walk-ins on test day permitted. Seniors and Senior Parents - Report your awarded scholarships! 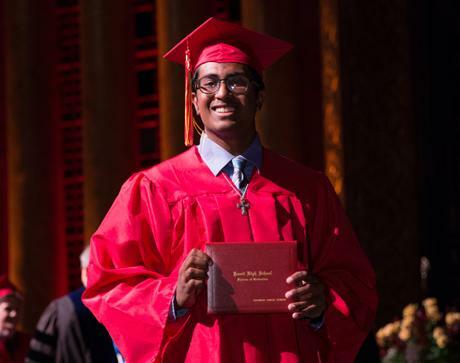 Jesuit High School encourages you and your family to report all awarded scholarships for college. It is our expectation that all students/families report ALL of their awarded scholarships, whether you plan to use the awarded scholarship or not. This includes scholarships to all institutions, private scholarships, essay contests, etc. Please enter the full amount of the award, and note if it is a multi-year award or a one-year annual amount. Dollar amounts are used only for internal reporting purposes. Help students establish meaningful post-secondary goals and connect those goals with their coursework and college planning activities.